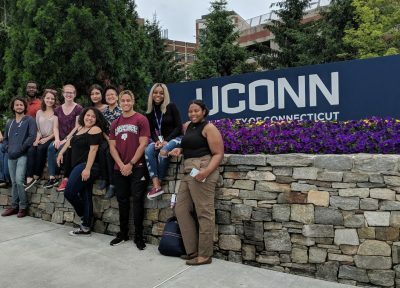 Spend your Summer with Science at UConn! Our primary goal is to give students, from non-Ph.D. granting institutions, opportunities to experience a competitive research environment. Students can expect to acquire skills and knowledge to help them enter graduate research programs. The NSF Research Experience for Undergraduates site in the Physiology and Neurobiology department at the University of Connecticut (Storrs, CT) offers paid summer research opportunities in the areas of renal and muscle physiology; developmental neurobiology, synaptic plasticity and neural circuits; and other areas in molecular and cell biology, microbiology and immunology. Interested students, especially underrepresented minorities, veterans, first-generation college students, and students with disabilities from institutions with limited research opportunities are encouraged to apply.